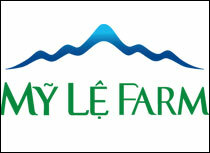 “70 per cent of Vietnamese paper output comes from scrap paper. Nearly 40 per cent is local source while the rest is from imports,” Mr Phan Chi Dung, former Director of the Light Industries Department under the Ministry of Industry and Trade, said at the Vietnam Paper Industry Conference: Policy Solutions toward Sustainable Development, hosted by the Vietnam Pulp and Paper Association (VPPA) and the Vietnam Chamber of Commerce and Industry (VCCI) in Hanoi. 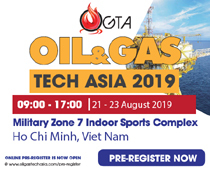 In Vietnam’s industrial history, the paper industry has grown steadily 11 per cent a year on average from 2000 to 2007 and 16 per cent from 2007 to 2016. 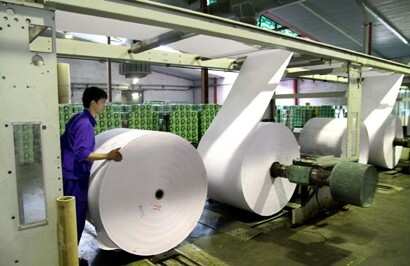 Vietnam’s paper demand is expected to rise 8 - 10 per cent annually in the coming time. The country still has to import nearly two million tonnes of paper for domestic consumption and production each year. The packaging paper demand for domestic consumption and export is growing strongly and boosting production capacity for this sector has huge potential for development. Given a significant demand and a diverse economic role, paper production is expected to contribute about 1.5 per cent to gross domestic product (GDP) and export value is estimated at over US$1 billion. Recycled paper is a key input in the recycling industry, which plays an important role in protecting the environment and saving natural resources. Reusing scrap paper as an input hugely benefits businesses and society, like reducing resources used and easing deforestation. For enterprises, using up scrap for production helps reduce costs as input prices are lower and less spending is needed for treating waste disposed into the environment. Therefore, not only the paper industry but many industrial sectors have been using scraps and used products as inputs for production, including plastics, glass and steel industries. At present, domestic scrap paper sources cannot meet production needs, forcing enterprises to import a lot for domestic production. According to preliminary estimates, the rate of paper recovery in Vietnam is below the world average, at less than 40 per cent, before being classified and processed. Mr Dung said, professional, capable paper recyclers, particularly foreign-invested enterprises, need paper inputs and importing is clearly a compulsory solution as domestic production falls short of inputs. 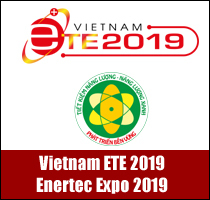 However, despite its critical role in industrial development, recycled paper in Vietnam and input import are still posing production and environment challenges. Opining the revised Decision 73/2014/QD-TTg on the list of scrap allowed to be imported from abroad as inputs for production, many specialists said that tightening scrap management is necessary since some companies have utilised loopholes in scrap import management to import ‘garbage’ into Vietnam, making the environment polluted. Nevertheless, many types of scrap paper such as composite paper are still important inputs for recycling industries, but may be removed from the list of permitted imports in the future, leading to backlogs for enterprises. 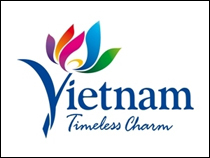 Mr Dau Anh Tuan, Director of VCCI Legal Department, said, Vietnam should consult on scrap paper import policies of other countries, adapt them to economic development and demand in Vietnam to introduce policies in line with international practices. That State agencies should consult enterprises to have more objective views to gradually form and perfect this legal framework is absolutely necessary. According to some experts, legal regulations must aim to facilitate paper industry development but effectively manage it at the same time. 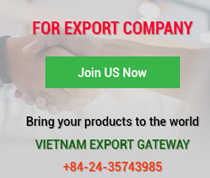 Moreover, Vietnam should refer to scrap paper import policies from other countries, align it with Vietnam’s current economic development to provide appropriate policies, especially considering the policy roadmap. As for paper companies, the environment is always assigned top priority in production and disposal methods, and they maintain readiness to cooperate with the Government and contribute scientific knowledge to improve product quality, ensure environmental treatment and facilitate economic development.